The cooperative tactical Sci-FI game Galaxy Defenders will be launched on Kickstarter in less than one month, on April 16th, and the countdown has already started on the game’s website. New images and details about the game are being unveiled, and a prototype version was shown in the Ares Games’ booth at the GAMA Trade Show (March 19-20, in Las Vegas), getting a lot of attention from retailers and distributors attending the show. In Galaxy Defenders, up to 5 players fight together against an incoming alien menace. 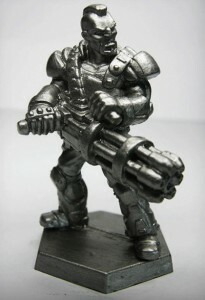 The game is inspired to the Sci-Fi cult movies of the 80s and 90s and features high-quality miniatures and an innovative A.I. system to control the alien invaders. Each player takes control of one agent with unique powers trying to defend the planet from an alien invasion. The battle for Earth against the aliens develops in a series of scenarios organized in a story-driven campaign. 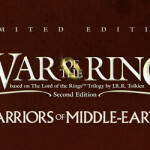 Scenarios remain balanced independently of the number of players. 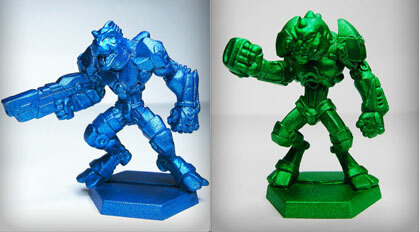 After the first two miniatures revealed on February 22nd (Thorium, the human agent Biotech, and the alien Xeno-Grey ), five more prototype miniatures can be seen in the Gallery section of Galaxy Defenders’ website: Hulk, the agent Titanium, and the aliens Xeno-Alpha, Xeno-Beta, Spine Critter and Aracnos. The Artwork section of the website and the Official Forum are now open, and the authors Nunzio Surace and Simone Romano are ready to answer the questions about the game. Other previews of Galaxy Defenders will follow in the next weeks! Stay tuned for more details and previews on the Galaxy Defenders website and the game’s page on Facebook.